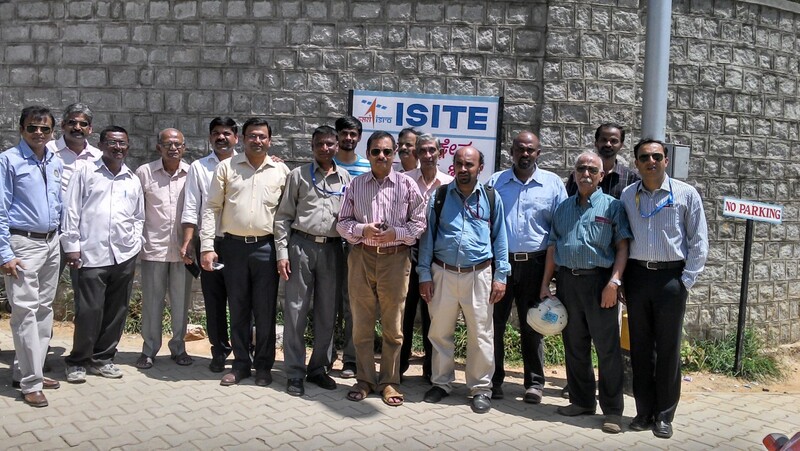 Upagraha Amateur Radio Club (VU2URC) which is the Amateur Radio station in ISRO organized a visit to ISTE where the Indian Mars Orbiter “Mangalyan” was under various stages of testing. The visitors included a team from AMSAT INDIA were able to see the MARS orbiter before it was moved to the launch pad for integration with the launch vehicle. We had the opportunity to see other test facilities in this ISRO complex and the MARS orbiter. Thanks to Mani, VU2WMY who organized this visit which enabled us to see the MARS orbiter “Mangalyan” before its long journey to MARS.